Tipping abolitionists just gained a powerful ally in Top Chef"s Tom Colicchio. In an interview with Crain's, Colicchio admitted he'd like to ban tipping and instead increase menu prices by about 22% at his New York restaurants -- though he'd feel better about making the move if another stalwart like Danny Meyer led the charge. While he might be reluctant to jump the gun now, Colicchio believes the tide is turning against tipping, and that in another decade "no one will know what a tip is." Recommendations from the Wage Board could push New York in that direction by the end of the year. 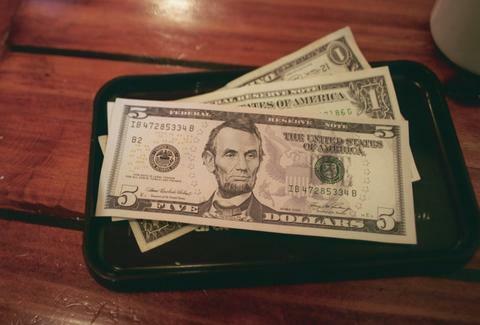 The board recommended that the "tip credit" (or hourly rate that tipped workers can be paid) be raised to a base of $8.50 by December 31st, 2015. It's down to state officials to adopt the measure, but Governor Andrew Cuomo has already indicated his support, which is certainly a point in its favor. In these changing times, we have to wonder what the Bitchy Waiter makes of the entire situation. Kristin Hunt is a Food/Drink staff writer for Thrillist, and could buy that 10 years prediction. Follow her at @kristin_hunt.